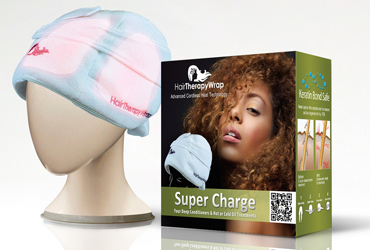 Hair Therapy Wrap (Cordless) allows deep conditioners to penetrate hair better. 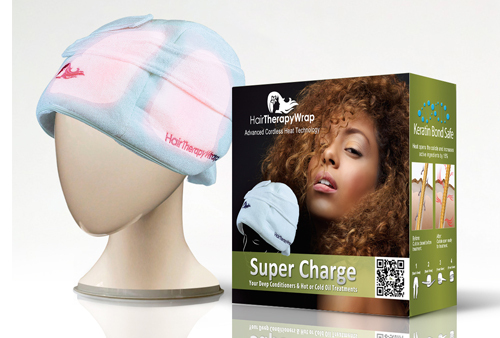 Turban style heat therapy wrap restores and rejuvenates your hair with warm soothing heat. The patented system using gel packs that are inserted into the cap gives a uniform and lasting heat, up to 20 minutes. The cap is simple to use just insert the packs into the cap put the entire cap in to the microwave than put it on. The cap itself is washable. The cap is cordless so you are free to move around while the cap is hard at work. Dry, damaged hair can now be saved by TM. It allows your favorite deep conditioning products to penetrate more deeply than ever. Hair that's damaged by the climate, heat-styling, coloring and bleaching, now has a solution to get more bang for your buck as you reverse damage. This heat wrap is VERY easy to use. I use it with the F.A.S.T. conditioning masque and love the way my hair feels.